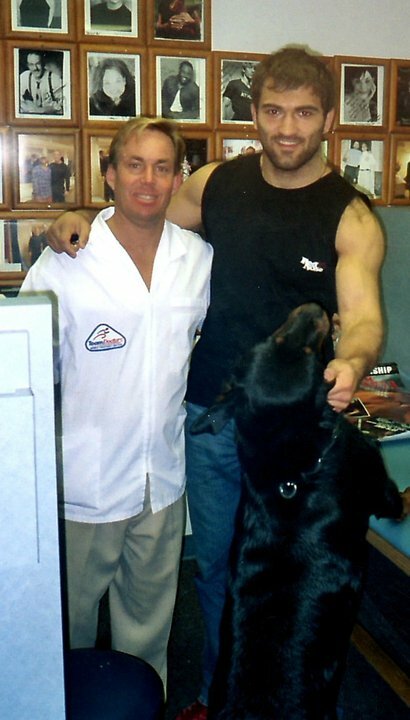 Andrei Arlovski, “The Pit Bull”, Former UFC Heavyweight Champion, Stopped By To See Dr James Stoxen DC. Part 1 of 2 - Team Doctors Blog | Athlete for Life! Andrei Arlovski, The Pit Bull, Former UFC Heavyweight Champion, Stops by to see Dr James Stoxen DC. They reminisce about his notable victories such as winning the World Title. They also talk about injuries and diet. Andrei speaks candidly about his preparation for the upcoming ProElite MMA fight against Ray Lopez on August 27th 2011 in Honolulu, Hawaii. To learn more about Andrei Arlovski and his upcoming ProElite fight.